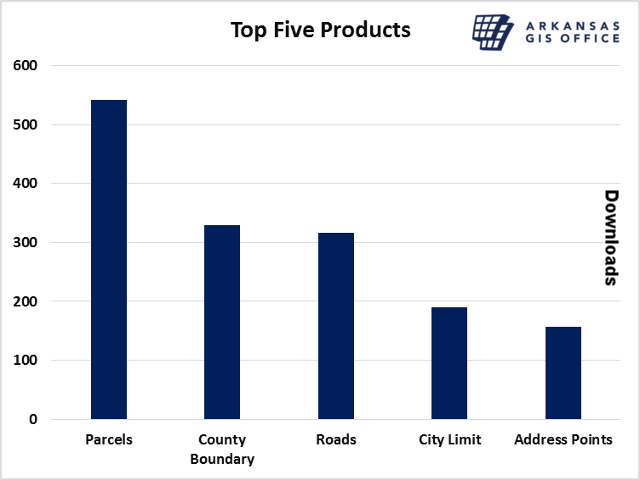 The Arkansas Geographic Information Systems Office acts as the functional arm of the Arkansas Geographic Information Systems Board. Our major activities include providing administrative and technical support to the Board. We pursue activities that result in coordinated,cost-effective programs for GIS data development and distribution. In fulfilling this role we coordinate with cities, counties, state, federal governments, and the private sector to reduce the duplication of effort. 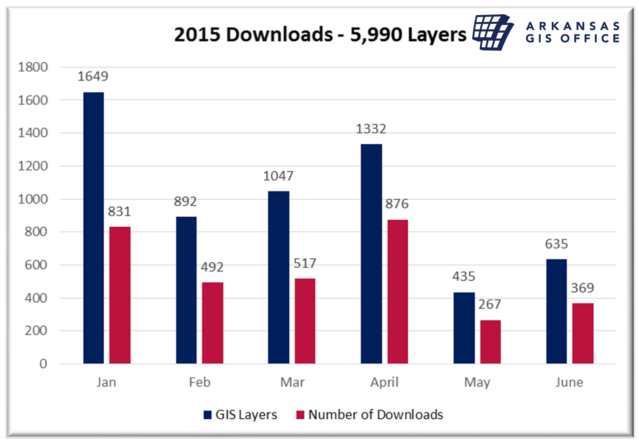 We coordinate the completion and maintenance of shareable statewide GIS data and applications of GIS technologies. Our premier service is the state’s geographic information systems platform. Earlier this year the entire platform had a major renovation and the following details showcase the utilization since the new distribution system went online. 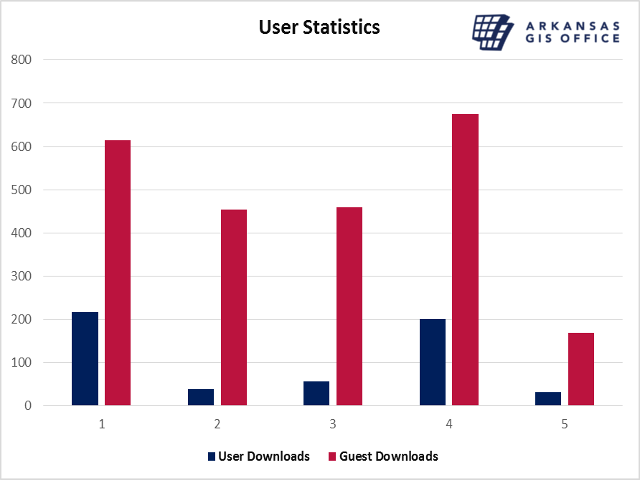 Each month guests outnumber registered users.